spoke to Gary this morning and suggested to make a post here to give this stuff away. we are moving soon and wont be taking this stuff, which is good order, so is better to give it someone who will use it. first in best dressed on this stuff. if this is posted in the wrong section, I apologise, maybe it could be moved to the correct spot. Last edited by avkomp on Tue Jul 17, 2018 12:45 pm, edited 2 times in total. Re: film dp stuff free to good home. This stuff deserves to be given a good home. 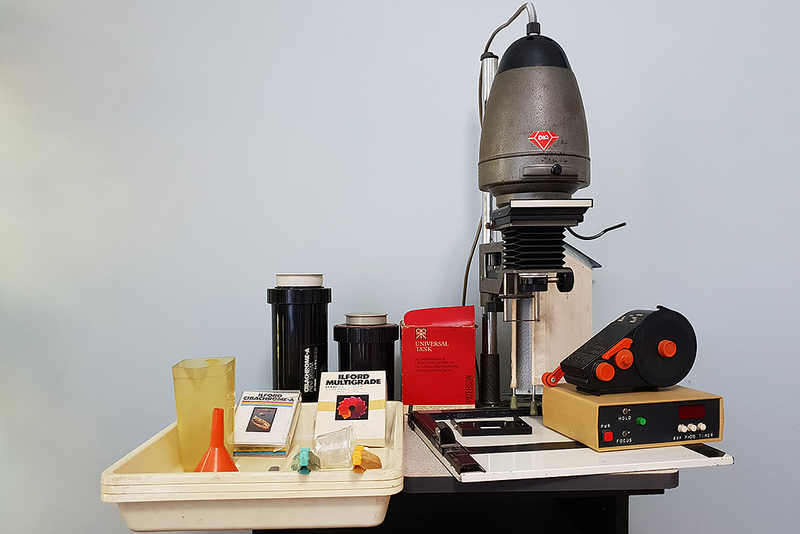 Just looking at the photo of this stuff....I would have died for this equipment when I was a young man..Hopefully it will go to a good home where it will be lovingly used. Pretty much just gotta by some chemistry and in business. Please keep us all appraised of your intentions. Certainly, I would not want to see this stuff thrown away. retouching kit added to this stuff now too. Would the tall thingy work as space age hair dryer for Robyn aka The Jetsons? Not my hair. There is none. given away to a nice young woman this morning. hopefully she sets it up and churns out some prints. sad to see it go, but not been used in years. Excellent news. I hope it enjoys its new home. felt sure that someone here would be into it, hence trying here first.